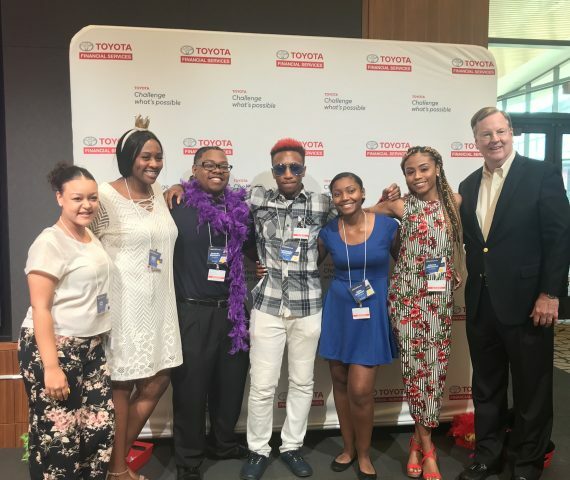 Toyota Financial Services presented scholarships to teens across the area. BGCCC is proud to have six Boys & Girls Clubs of Collin County graduates receive scholarships. We were honored to have Mike Groff, President & CEO of Toyota Financial Services to speak to all of the scholarship recipients and to personally present them to all honorees. Thank you to Toyota Financial Services and their 2018 Making Life Easier Scholarships Program for making a difference in the lives of our youth.